I know what you’re thinking. “Eww, I don’t want any beer flavored ice cream.” Well, if you didn’t think that, I’ll admit to thinking that. It’s funny, but this ice cream doesn’t taste like beer at all. It does give the ice cream a good flavor, but if you didn’t know it was beer, you’d never be able to guess what is was. It really does taste good. You’ll have to make this recipe and see what all the fuss is about. In a mixing bowl, beat the egg yolks, sugar and salt until fluffy. Set the mixture aside. In a large saucepan, combine the Guinness, heavy cream and vanilla seeds. Bring it to a simmer over medium heat. Once the mixture has simmered, remove the pan from the heat. Let it sit for 5 minutes. Mix in a few spoonfuls at a time of the hot mixture to the fluffy mixture. This will bring up the temperature of the fluffy mixture, so the eggs will not coagulate. Add the rest of the hot mixture to the fluffy mixture. Mix it all in completely. Pour the combined mixture back in the pan. Place it on medium heat and heat for about 6 minutes. Be sure to stir it constantly. Do not let the mixture come to a boil. Turn the burner down, if necessary. Once the mixture coats the back of a spoon, remove the pan from the heat. Fill a large bowl partially up with ice water. Set the pan in it. Stir the mixture occasionally for 30 minutes. The custard should be almost chilled at this point. Cover the custard with a piece of plastic wrap touching the top of the custard. Place the pan in the refrigerator for 4 hours or overnight for the chilling to be complete. Pour the cold custard into an ice cream machine. Be sure to use a rubber spatula to get any custard that remains in the pan. Process the custard mixture according to the manufacturer’s directions. Place the Guinness Ice Cream in a tall sided round container. Place it in the freezer for at least 2 hours before eating it. Want the Entire Dessert in the Photo? Warm a brownie and place it on your plate. 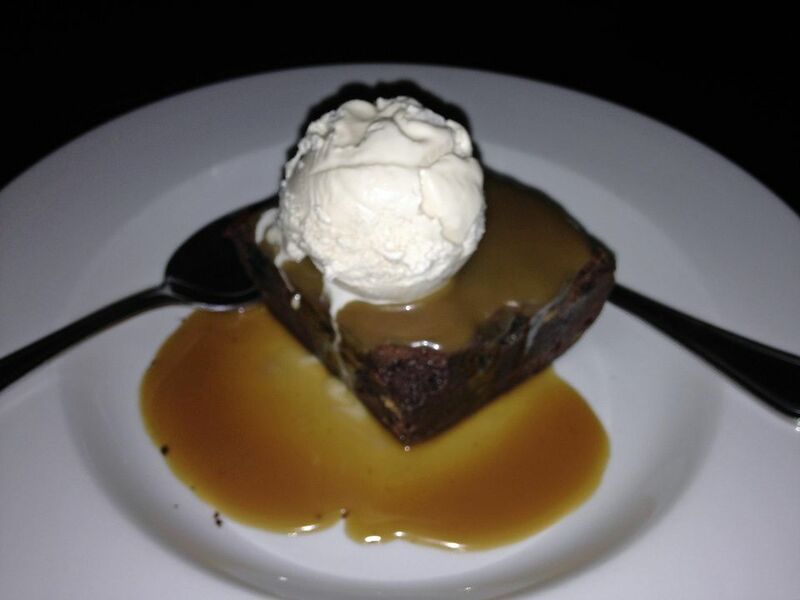 Drizzle warm caramel sauce over the brownie, making a pool of caramel on the plate. Top the caramel topped brownie with one scoop of Wickedly Creamy Guinness Ice Cream. Talk about strange ingredients, zucchini should top the list. Yet, you don’t even taste this green squash. No you can’t taste the sauerkraut in this cake either. Of course, chocolate makes anything taste better. The tomato soup makes this spice cake even spicier. Put a cream cheese frosting on this cake and you’ll have a winner.